President Trump was in Missouri on Wednesday to talk about taxes (and also publish some tweets) which means that his motorcade was also there and a lot of people were out and about filming said motorcade. This included one person who caught a curious sight; around 1:15 into the below video a white car, seemingly out-of-control, emerged from the woods just as the presidential limo pulled into view. 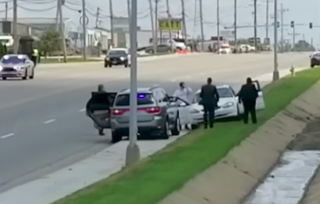 Despite the title of this YouTube clip, police were quick to say on Twitter that there was no harm intended by the driver, just, in fact, some brakes that malfunctioned at a very unfortunate time. The driver, who wasn’t identified, wasn’t arrested or charged with a crime, according to OzarksFirst.com. 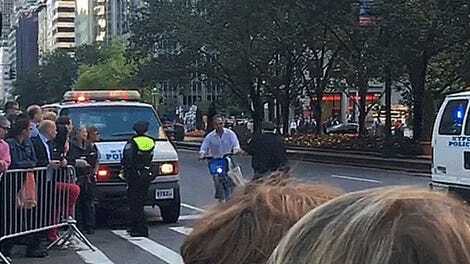 Still, if you’ve ever been around a presidential motorcade, the video confirms a couple things, the first being that it stops for no one, and the second that you can expect some pretty quick attention if you’re now-disabled car ambles in from nowhere.